Every day, more pet owners all around the world are turning to natural remedies for health problems. Specifically, CBD oil for dogs and cats continues to grow in the holistic wellness industry. It treats a variety of ailments, such as anxiety, pain, allergies, and even more complicated ones like seizures and epilepsy. As CBD gains popularity, you can give your patients the solution to many of these problems. Honest Paws CBD oil can be given orally or added to food daily. 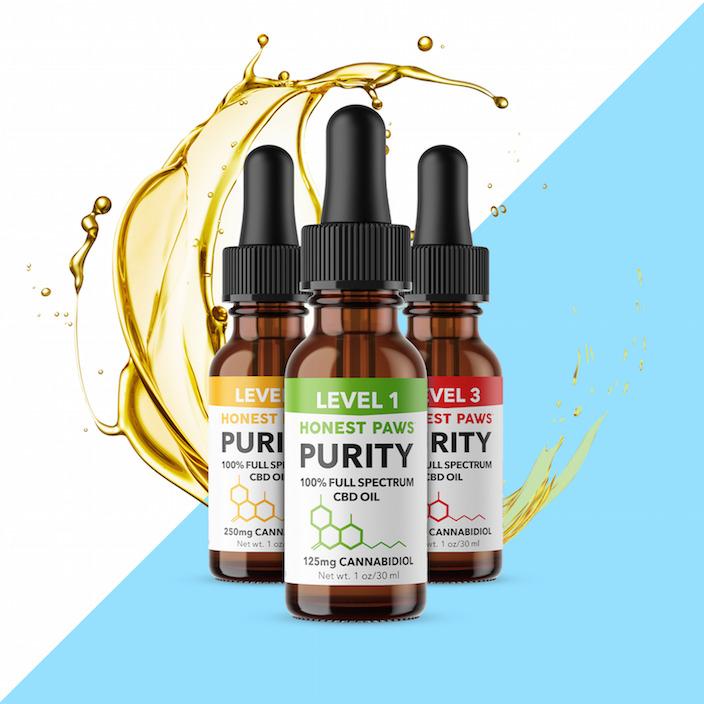 There are three levels of tinctures with different concentrations of cannabidiol. They are divided into three levels: Level 1 for dogs up to 25 lbs., Level 2 for 25 to 50 lbs., and Level 3 for dogs that weigh over 50 lbs. CBD can help pets reduce the chances of developing illnesses and can improve their daily life. Honest Paws carries oil tinctures, as well as a variety of other CBD-infused products, including treats, soft chews, peanut butter, and coconut oil. See how our products can be a good fit for your patients! If you’d like to consider carrying these products, you can find more information for wholesalers on the link below.